In terms of numbers, it is encouraging that we have seen an increase in starts, participation and availability of apprenticeships across the country in recent years. Apprenticeships are now available in 1,500 job roles, covering more than 170 industries. In an attempt to increase these figures, the government is making it compulsory for employers to pay 0.5% of their pay bill towards a new apprenticeship levy from April this year. But what does this mean for us? And do we like the idea? 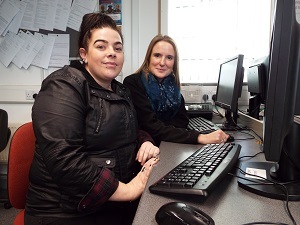 Well, a key part of our efforts to maximise the social dividend of our landlord services has been to try to develop a skilled and flexible workforce through our apprentices. However, as we have over 1,500 employees, and the levy amount is calculated as a percentage of company’s total payroll, we will be forced to pay around £175,000 per year. This is undoubtedly a costly imposition that’s being placed on us, and not for the first time! But, can we make this work for us in a cost-effective way? If we can utilise the levy to make it work to our advantage, absolutely! If we allocate our spending effectively from April we will be able to make financial gains in certain ways. The fact that we are able to use our own workforce to train apprentices means we can make savings where other companies can’t! Last year, we recruited our second female plumbing apprentice, Stacey Simmons, and we are aware that there are a growing number of young females looking to follow Stacey into WDH’s apprenticeship schemes. We will provide a platform for this as part of our aim to attract a more diverse workforce. This will partly involve amending our recruitment strategy to aim to appeal to the districts wider population. By taking these steps, the numbers of skilled trade operatives being available to the district’s communities will increase and add to the construction workforce to help increase the number of homes built across the district. Additionally, the number of employment opportunities at WDH will be increased to the districts young people, and to a broader range of the districts population than ever before. This will have a knock on effect in reducing the number of NEETS (those not in employment, education and training). Coincidentally, the push for more young people to undertake technical courses was also announced in last week’s spring budget where Chancellor Philip Hammond announced that a new ‘T-levels’ system will be introduced. Through £500million of funding, the new system will increase the number of hour’s students train by 50% to increase the number of technical qualifications being undertaken. So, the idea of increased technical skills training does indeed seem to be a priority for the government and although certain policies may not be the most helpful to us right now (welfare cuts and rent reductions to name but a few) and last week’s spring budget did seem abnormally bland, apprenticeships are definitely an area where demanding policies can create real opportunities.